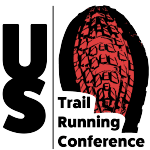 Press release from ATRA partner organization the Collegiate Running Association. The Cranmore Mountain Race, held annually at the Cranmore Mountain Resort in North Conway, New Hampshire, will host the 2017 Men’s and Women’s Collegiate Mountain Running National Championships on June 3, 2017. 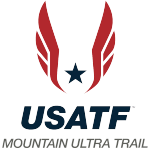 The races will be held concurrently with the 2017 USATF Mountain Running Championships as well. Morgan Arritola winning the 2014 CRA Mountain Championship. For the 4th consecutive year, this unique ‘race within a race’ format will provide college students the opportunity to compete in the Collegiate National Championship and the USATF Championship race simultaneously. Additionally, college students will be racing for prize money in both events and to earn a spot on the 2017 U.S. Mountain Running Team. The weekend will consist of four races along with a post-event awards party at a local brewery (the Tuckerman Brewing Company in Conway), which will also double as the Collegiate Running Association’s ConnectCRA event. The ConnectCRA initiative provides college students with an opportunity to meet and network with business professionals and other college students from across the country during each of the Collegiate Running Association’s National Championship weekends. CRA founder Steve Taylor interviews 2014 Mountain Champion Patrick Smyth. The weekend’s races will start on Saturday morning with a 5K loop course on the mountain, followed by the men’s championships two-loop course (10K). Ninety minutes later, the women will run the same two-loop course as the men. On Sunday, a shorter uphill mountain race will be staged. All the events are open to the public. The only requirements for those interested in competing in the Collegiate Running Association National Championship is that the participant must be a free member and enrolled in at least one college course at any level between January 1 and June 3, 2017. This requirement will provide the opportunity for a true collegiate national championship that transcends all college levels and divisions (See eligibility facts). In the past three years of the U.S. and Collegiate Championships being held concurrently, nine college students have earned spots on the U.S. Mountain Running Team to represent the U.S. at the World Championships. In 2016, former Collegiate National Champion, Joe Gray, won the World Championships title and led the U.S. to the Gold Medal among teams. For the women, 2016 Collegiate Champion, Bethany Sachtleben helped the U.S. Women’s Team earn the bronze medal among teams. Top finishers in these national championships will earn prize money. 2013 NCAA legislation allows current Division I student-athletes to accept prize money equal to the necessary sport related expenses for participating in the sport through an entire calendar year — so long as student- athletes are able to present receipts for the expenses to a compliance officer upon request. Postgraduates and students without remaining NCAA eligibility don’t have limitations on the amount of money they can accept. For more information about the Collegiate Running Association and championship details, visit their website. The Collegiate Running Association is a 501(c)3 non-profit organization founded November, 2013 with a mission to promote healthy lifestyles among college students by providing and expanding opportunities in the sport of running. 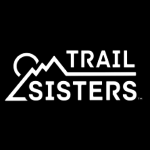 Our vision is to offer national championship events in road, mountain, and trail running with prize money specifically reserved for college students that are open to all college students enrolled in at least one class. Since their first championship in 2014, the CRA has awarded over $64,000 in prize money specifically to college students in road, mountain and trail running events. Membership is open to the public.